Homeschooling my 4 kids has been somewhat of a daunting task. Some days I love it, and some days I feel like I’m barely surviving. I’m convinced that public schools were invented to give moms a break and some days I could sure use one. That being said, I love the opportunity to teach my kids and see how much they learn and grow as time goes on. We use the internet for some of our lessons and each of my kids have a tablet that they use. There are so many wonderful educational apps that we use on a daily basis. That being said, I believe those wonderful tablets should be used in moderation and at one point, it was becoming hard to find a balance! I wanted the ability to use the latest technology in our home to teach my kids, but I didn’t want the lure of the ‘screen’ to take over my kids minds. I was tired of always typing in passwords, monitoring how long each child had been using the internet and what sites they were on…constantly. Then we moved to a more remote area of the country and it got even more complicated. Our internet bill is now twice as much and we have a limited data cap each month. No more unlimited usage! When I found out about Circle with Disney, I had high hopes this would help solve all my problems. I was not disappointed! 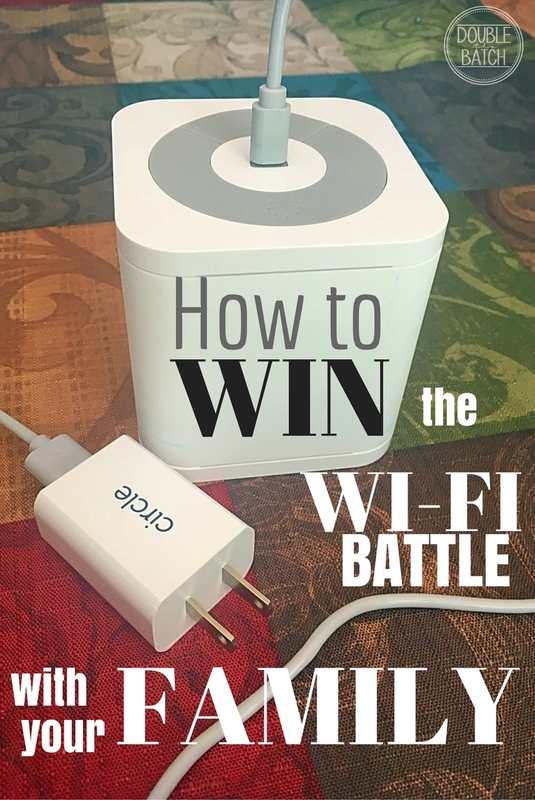 It was very easy to set up and within 30 minutes, I was monitoring all of my kids internet and wi-fi usage without them even KNOWING! Ever wish you could just PAUSE everyone’s device in your home for some family time? With Circle, you can do that! Or, if our data is getting low for the month, I can pause everyone so I know it won’t get eaten up too fast. 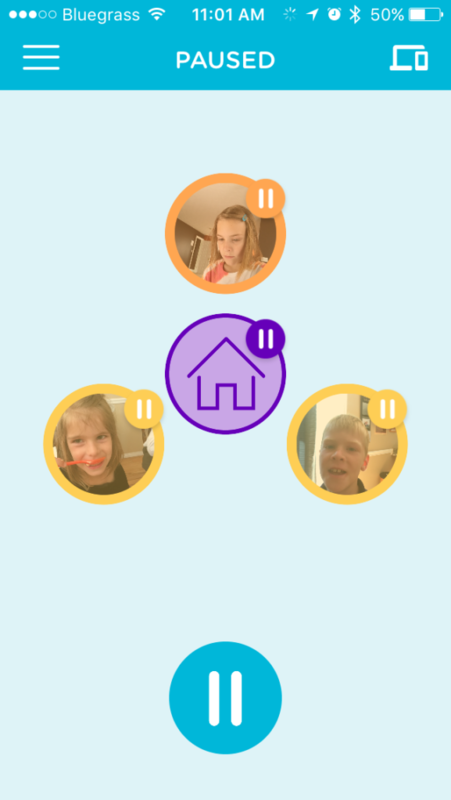 Circle with Disney also allows you to set up an account for each family member, add which devices they use, and choose what they are allowed to do on their device AND online. 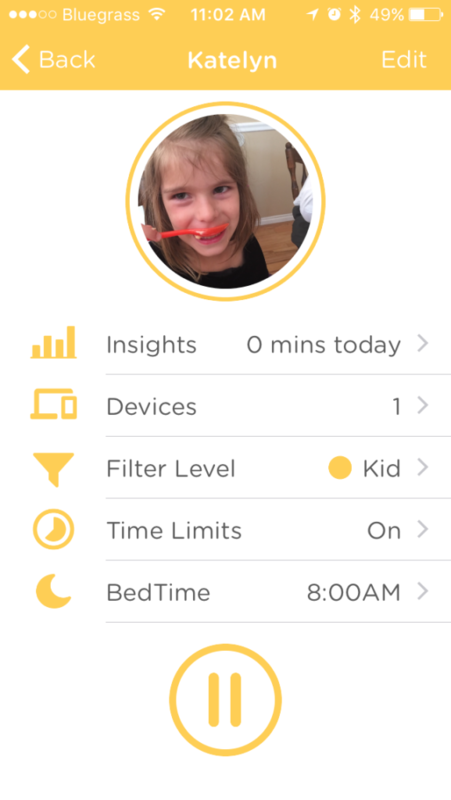 It also allows you to set their time limits and bedtime. Don’t want any kids using internet after dinner, just set their wi-fi to turn off at that time and choose when it will come back on again. Love it! I can also check each of their accounts at the end of the day, and it will tell me where they have been online and how long they have been there that day! It’s been an eye opener for me too as I set an account up for myself the first week we tried it. I was shocked when I saw JUST HOW MUCH time I had been wasting online. This little device monitors ANY device hooked to your internet so you can set filters on your home network for ANYONE who wanders into your home and asks to use your wi-fi. I have used it to filter my kid’s friend’s devices too when they are over. Sneaky? No….SMART! 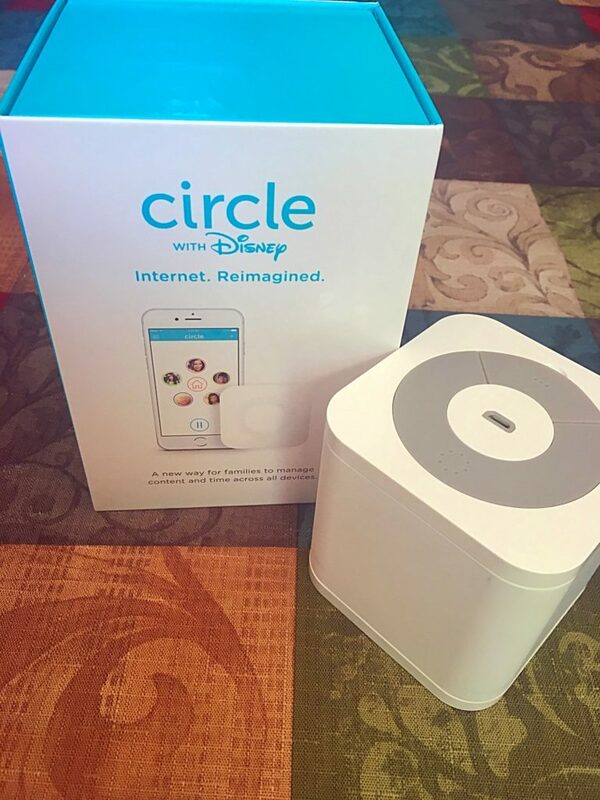 If you’re struggling to manage your kid’s time online, check out the Circle with Disney device. We’ve been using ours for 5 months now and I don’t ever want to be without it again!